David Le/Gloucester Daily Times. 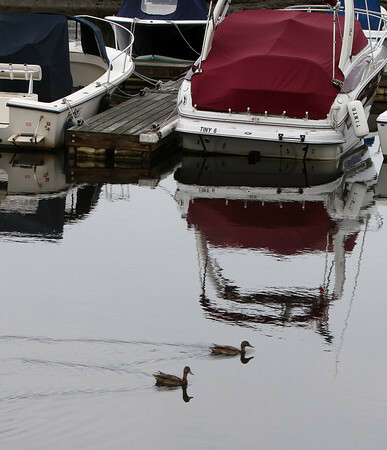 Two ducks float by a few well-covered boats sitting in the Essex River on Thursday afternoon. Boat owners scrambled Thursday to secure their boats as best they could in preparation for the impending hurricane. 8/25/11.